San Francisco Bay Area Rock Your Holiday With Poinsettias! 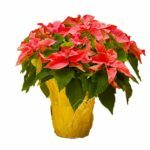 Now is the time to order your Poinsettias from Gardeners’ Guild. Get your commercial building in the holiday spirit. Our interior division services San Francisco, East Bay including Richmond, Emeryville, Berkeley, Oakland; as well as Marin, Sonoma and Napa Counties. Our nurseries grow limited quantities so order by second week in November to ensure availability. Poinsettias are temperamental need just the right light and moisture to last through the holidays. This is why having a professional maintenance is the best option, especially for a commercial building. They need strong indirect light, love moisture but not too much and warmish temperatures. Avoid drafty areas. Keep them inside. Poinsettias are a tropical plant. 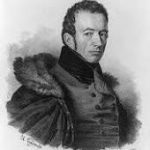 They were introduced to the U.S. from Mexico by Joel Roberts Poinsett. Poinsett was the U.S. Ambassador to Mexico and in one of his travels brought back the the Poinsettia. In Mexico they can grow from 10 to 15 feet. Mexicans call the Poinsettia the “Flor de la Noche Buena” or “Christmas Eve Flower”. Interior Account Manager Angela Wrath can take your order and answer any questions. https://www.gardenersguild.com/wp-content/uploads/gardenersguild-logo.jpg 0 0 sharris2011 https://www.gardenersguild.com/wp-content/uploads/gardenersguild-logo.jpg sharris20112016-10-18 19:14:282016-10-18 19:18:34San Francisco Bay Area Rock Your Holiday With Poinsettias!